Kuwait City: The security authorities dealt with an average of 55 various crimes per day across Kuwait last year, Al Qabas reported. The Criminal Investigation Directorate revealed around 20,000 crimes were committed last year, down from more than 22,000 in 2017. According to latest statistics released by the directorate, the rate of crimes exceeded 25,000 in 2015, before dropping to 23,000 in 2016. 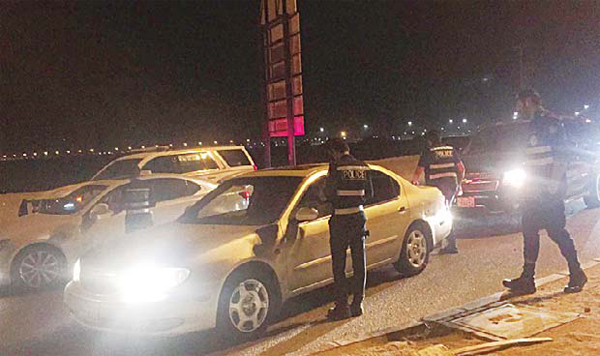 The governorate of Hawaly had the highest crime rate in 2018, with 4,600 cases, followed by Al Farwaniya (4,200), Al Ahmadi (3,700), the Capital (3,300) and Mubarak Al Kabeer (1,650). Car robberies and burglaries targeting houses and trading outlets topped the overall number of crimes.